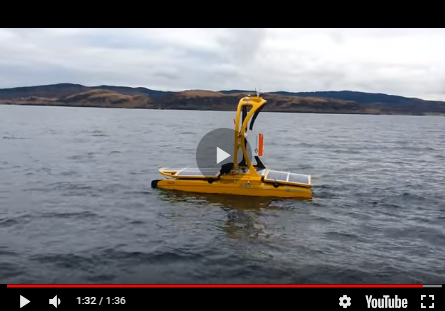 M Subs has installed a ‘game-changing’ sensor system with connected artificial intelligence (AI) and machine-learning technology around Plymouth Sound, UK, as part of the vision to turn the city into a centre of excellence in maritime autonomy and unmanned vehicles. The Plymouth-based company will operate a secure network of cameras, radars, and other sensors which will provide situational awareness and communications with the unmanned vehicles operating out of the city’s harbour. The system will also provide the command & control of unmanned vehicles using the nearby ranges at sea. Data from the network is being collected and analysed by machine learning programmes by M Subs’ growing AI team, with the assistance of Thales, and a leading global corporate partner in the field of machine learning and artificial intelligence. The results of this work will finalise development of the computing system at the heart of the maritime AI system to navigate the Mayflower Autonomous Ship across the Atlantic Ocean in celebration of the 400th anniversary of the original Mayflower sailing in 1620. Two Thales USVs entering Plymouth Sound.